This ability to control either the flow or pressure is possible through two different system designs – an open center or closed center systems. The terms open center and closed center are used to differentiate the two system designs as each describes the construction of the directional control valve as well as the type of hydraulic circuit being used within the system. With an open center system, flow is continuous and pressure is intermittent – which is contrary to a closed center system where the flow is intermittent and the pressure continuous. Within an open center system, as the pump turns flow is generated and then directed back to the tank through a central passage within the directional control valve. When one of the directional control valve’s spools is stroked, the flow is focused toward a load and pressure is created. Once the pressure exceeds the load, the load moves and the hydraulic work is executed. Flow within a closed center system is also created with the turning of the pump; however, only enough flow is being produced to keep the pump lubricated and to achieve a standby pressure at the directional control valve. In a closed center system, when a spool is stroked a passage is exposed for the flow to enter while a pressure signal is sent from the directional control valve to the pump. This pressure signal informs the pump to then produce the flow needed to complete the hydraulic work. To put it in layman’s terms, in an open center system oil continuously flows through the open center directional control valve whether its work sections are being used or not. With a closed center system however, the closed center directional control valve communicates with the pump so that when a work section is not being used the pump destrokes so that it stops producing a large displacement of oil. 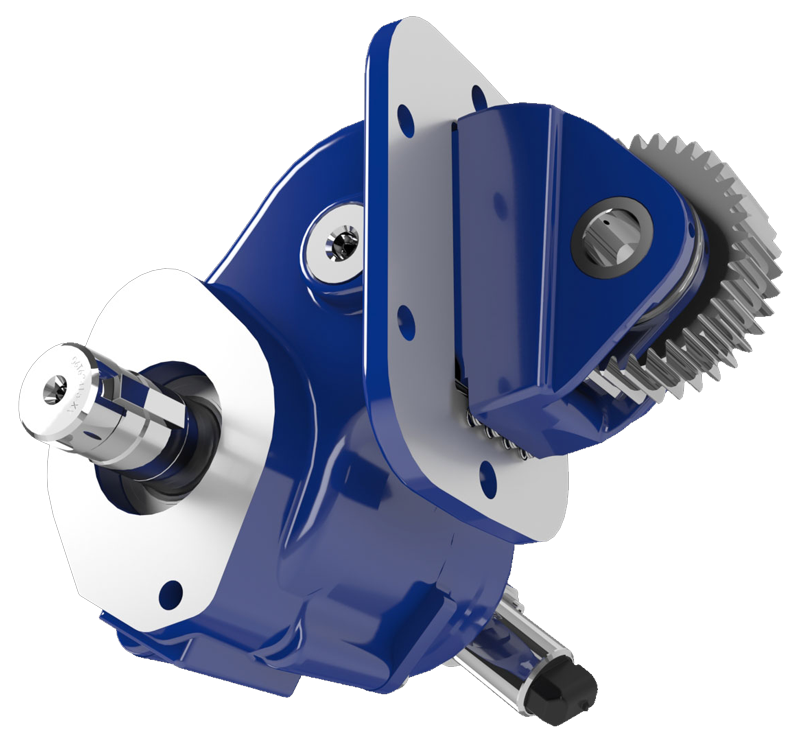 Traditionally, an open center system is less expensive due to the fixed displacement pump used, which costs less than the variable displacement pump often used for a closed center system. A closed center system, while more expensive perhaps, is usually more efficient as it is not continuously sending oil through the valve when it is not being used. Consequently, less energy and less fuel is used – which results in savings on fuel costs. Open center systems can be converted to closed center systems and vice versa; although, often times the system is designed as open center or closed center from the get-go. A conversion is not usually done on a current system, specifically an open to close center, as converting an open center directional control valve to a closed center directional control valve requires additional items so that the pump can dump excess flow when not needed. In order for the pump to dump excess flow, it will require a full-flow dump valve or something similar for when the sectional valve doesn’t need oil. Typically, an electric dump valve is used in conjunction with electrically operated work sections to allow the valve and pump to communicate when flow is not needed; otherwise, the pump will always be sending a larger volume of oil regardless of whether there is work that needs completed. A fixed displacement pump can be used within a closed center system; however, those building the system will need to have the appropriate knowledge to set up the system correctly with the necessary items. Converting a closed center system to an open center system, on the other hand, requires making an adjustment to the outlet and opening up the internal passage ways within the valve allowing the oil to flow freely through the valve straight to tank. However, not all valves have the option built in to convert between open and closed centers via the outlet. When specifying a hydraulic system, the type of system design should ultimately be determined based on the application or system requirements. But in order to fully understand whether an open or closed center system is needed – knowing the differences between designs, the hydraulic work requirements and the importance of cost versus efficiency will be the first step.